I was so impressed by the service. Everyone was courteous and knowledgeable and professional and best of all HELPFUL! And the loaner car was an absolute BLESSING...it even had an easy pass! Overall great experience! I had appointment at 7:30 am for oil change and tire rotation. Waited for it to be done within a hour. Performed service in the excellent manner I have come to expect. absolutely, perfect. They are very accommodating and professional. worked me in the next early morning for a tire repair. I wish every automotive experience was like this! Shop Manager is amazing young man. Thank you Midas of Short Pump. Service was great. Loaner car was fantastic. Text with link that outlines and shows the issues is awesome. Cost of repair is high. Nissan dealership down the street priced it out quite a bit lower. I can always count on Midas for my car service needs. Quality work with superior customer service! Came in to get my wiper blades changed; they suddenly became very noisy; they fit me in and got them changed out...no more noise! Thank you! Scheduled our son's car for inspection and annual check up. As usual, was able to get in when it was convenient to us, was kept up to date of the service and what was needed/suggested, and the work was done on time! The staff at Midas is so friendly, knowledgeable and helpful. And I love the inspection report and notes shared so we can fully understand what is being done! Thanks for the peace of mind we get working with you all! I called and they fit me in the same day. I was there for 30 min total. In and out. Great experience! Nice staff and professional service. I took my company truck in for an oil change and tire rotation with an appointment set for 7:30 am. It was done and I was back on the road by 8:30 am. Overall a pleasant experience. Got an inspection, new tires and alignment. Great service, professional and friendly. On time appointment and work done quick and right. Thanks to all . Yes, trustworthy, reliable, plus free loaner car! Trustworthy, reliable and free loaner car! The service was superb, as usual. But I was especially taken by the way the woman at the front desk on that snowy Sunday morning patiently and professionally managed a customer who was struggling to understand the nature of various services she was requesting, one of which she didn't need. Outstanding job! I never thought I'd say that I don't mind taking my car in for maintenance. Midas in Short Pump makes it so easy to make an appointment, be greeted by name, have a comfortable place to wait, and work completely quickly. Thanks for your great service! You squeezed me in during a very busy time of the year.. Thank you!! Dependable! Great customer service! Skilled mechanics! Just some of the many reasons I have used them for the past 15 years! 2015 Golf Wheel and Tire Installation. All went well and quickly. Love the Golden Greeters! As always, your team provided a thorough assessment, honest appraisal of the problem and thoughtful recommendations. No high pressure sales tactics or exploitation of my automotive ignorance ??????. Thanks! The inspection took about 45 minutes, which is less time than promised. That exceeded my expectation. The minor disappointment was the glue from the old sticker was not cleaned off. Should have been easy to remove with solvent and wiped with a clean paper towel. Great job done. Always quality work and no “up selling”. Good honest employees at this store. Noticed one of my tires was leaking and I call on the Department of Defense and had a meeting with them the next morning. Stopped into Midas in Short Pump that does all of my service and shared my situation with Amanda. Amanda spoke to the Tire Tech and they were able to help me out at 4 PM, when the close at 6 PM. Impressive service as always at this Midas. Thank you! Great service, reasonable prices, loaner cars - a winner! I was visiting family in the Richmond area when I had an emergency situation come up in my Hyundai Tucson. These folks took me in on a moment's notice diagnosed my situation and cleared it up quickly.. They are the nicest people. Purchased 4 new tires with aid of a discount for donating apheresis platelets. Work was done on schedule. This is our second set of tires recently for our two cars. Thanks. Good afternoon. I had an appointment but still waited over two hours. People came in over and over (8 maybe that day) for tire fixes and I think this is what happened?? One of the technicians lost one of the keys to me wheels, had to wait to find that. Tried to talk me out of a tire rotation but wanted me to buy an air filter that I JUST replaced with Midas (same location). Made for a looonnnngggg afternoon after working all morning. BUT I still love everything you do for the community and the people typically are friendly. Thank you for asking. Very pleased with the service received at Midas. Great place for vehicle service. You will get honest feedback and top notch work performance. They won’t up sell you with unneeded stuff. Thanks again to Midas of Richmond for keeping my car in top condition. I was referred to Midas by CarMax Service Dept. regarding tail light outage. Hoping to avoid a citation, Midas saw me ASAP thankfully ! Midas on Broad near Pump Rd was friendly, expedient and not expensive. Thanks again! This was my first experience with the Short Pump Location. I am VERY pleased with the service. They took the time to give me an estimate of how much it would be and when the work was completed it was within a couple of dollars of the estimate. I got four new tires, an alignment, and both tie rods replaced. My vehicle is running so smoothly now! They recommended a couple of other things to be fixed, but didn't pressure me into having them done right away. They told me to just bring my van back if I had any problems with the tires or tie rods. I was also able to meet Mark and he was so nice and very helpful. He gave me his personal business card and said to contact him directly if he do do anything to help with my charity work with St. Joseph's Villa or other group. 5 Stars!!! Great value and good service on a new set of tires for Chrysler 300. Took advantage of the blood donation program and saved some $. Best quality parts and service in Short Pump! Mark Smith and crew always treat me right, and most importantly the price and quality of service is top notch. I would recommend Midas of Short Pump to all my friends. Quick in and out. Thorough. Great service! I was extremely satisfied with the service Midas provided. WIll be coming back soon for oil changes. Nice, clean facility. I scheduled an oil change and they did it within the time frame they gave me. Nice people there, and the front desk dogs are cute! I never have any complaints about the wonderful staff and service here at Midas. Great accommodation and work as usual. And the best CGO's ever! Very pleased with the work done on my car. Friendly staff. Can’t ask for more than that. Great communication with me! Easy check in, got to use a coupon, service done quickly and within estimate. Very nice! Appreciate the loaner and nice staff. Service was great. Especially the Young Lady at the front desk. I’ve brought my car to the short pump location for years. They always take the best care of my me and my car. Took off my front bumper to kfis a light bulb. When they put it, back on they broke the clip on they broke the clip on the passenger side and valve it back to me. When I took car to car wash they had to tape it si it would not rip off. I feel they should have fixed it. Now I have to make another trip back. Excellent staff and technicians. Job done right the first time. The front office and shop staff at this Midas are awesome. Everyone is knowledgeable and focused on customer service. I used to dread having to take care of car stuff but don't mind it now that I go to Midas Short Pump. I can trust this shop to do a thorough inspection that is both accurate and quick. I depend on Midas to keep me up and running. Whenever I am about to take a trip to see my grandkids I arrange an appointment and then have peace of mind on the road. First of all, this location is open until 6 pm on Sundays, so they are already high on my favorites list. Realizing that I needed a state inspection late Sunday afternoon, I called around until I was greeted with the friendly customer service manager at this location. She was able to squeeze me in if I could get there right away. No run around, no excuses, no problems! I got there, she explained the process and they got to work. As explained, I received a call to discuss the inspection. Uh, oh...I needed a repair, then an alignment, to pass inspection. It sounded kinda major to me, but they were able to get it done that day with in-stock parts. What? That’s unheard of! I boldly asked if they could possibly include an oil change while they were at it. “Of course,” they said! The guys stayed late, got my vehicle fixed up and when I arrived back to pick up my car, the keys were exactly where they said they would be. Fortunately they were all still there in the foyer chatting before heading out for the night. I was able to thank them for the extra effort, but it seemed like second nature to them. No biggie... THIS is what customer service looks like. They were open and friendly, they explained the process, then they explained the work, they maintained a solid inventory of parts, they completed the work that day, they stayed a little late to get it done...with smiles on their faces! Thank you to Mark Smith for running an honest business and hiring great people. You’ve made a raving fan out of me! MIDAS is our neighborhood car care center. Never a complaint from me about their thoroughness in detail and customer service. Great service for new tires and oil change. Very honest and knowledgeable team. Reliable service from a community-minded corporate citizen. Thank you for the excellent service. Quality, qualified service department that cares.  Repairs done quickly and service desk that keeps you informed. The loaner car service is the final touch of class, I would recommend Midas to all my friends and family. Heather and Amanda are always superb. Personalized service-Greet you by name. Saved my tire this time which is normally cost me $500 before this time it cost me $21. Outstanding and timely service! Love the dogs love the charity work That Mark Smith does. Every dollar that you spend at Midas helps charitable causes. They do what they say and the price is what they say. I have been a customer of Midas for more years than I can remember. You are always accommodating and the customer service is always great. With that being said, the guys at the Short Pump location are "the best"! Thank you for many many years of EXCELLENT service. I took my truck in for an oil change and inspection. The staff was very inviting and nice. I feel like they are very honest and have earned me as a repeat customer. Reliable, honest and fair. What more could you ask for? Midas of Short Pump is AWESOME! As a small business owner that provides concierge car service for some local fleets, I can ALWAYS rely on Midas to service our customers cars in a fast, friendly and economical fashion. Our customers love us, and Midas is a BIG part of their appreciation. We LOVE the team down at Short Pump and at Willow Lawn too! - Tony P - Splash n Dash Carwash & Detailing S.
If you have to have car trouble this is the place to land. Our Toyota Sequoia recently was in need of immediate attention due to check engine light, etc. Was given welcoming, prompt attention - loaned a spotless, fun-to-drive loaner so there was no interruption to my day & received professional estimate/repairs. Couldn't have had a better experience - pleasantly surprised at every turn by how painless the staff made an otherwise unwelcome event. Highly recommend these hard-working, considerate & honest folks. Getting your car serviced at Midas in Short Pump is like visiting family. They are so inviting, keep you posted on the progress of your service and have very good prices for their work. It is a wonderful thing to trust the professionals at Midas with all of your automotive service needs. My first experience with Midas and I’ll be back. From the reception desk to the shop everyone was pleasant and informative. Brad took me into the shop bay to show me the area requiring repair and discussed alternatives. The job was an overnight one and I was provided with a complimentary loaner complete with an EZ Pass. A level of service never matched by my former shop. I had to find somewhere wuickly since my tiret pressure light kept coming on. I was delighted that they dealt with it immediately while I waited. Very courteous, kind and helpful, even though I wasn’t very good at describing the problem! Also affirdable! I've taken my car to Midas several times to have the oil changed and the staff is always friendly and patient and take the initiative to explain any recommended repairs and estimated costs. They don't pressure you into repairs and they are very fair with their prices. Their staff are very competent and hard-working. I'll keep coming back! Great service at a reasonable price...and always friendly staff! The service was very professional and courteous. Your establishment was clean and well kept. The repair was completed within the stated time. The only slight issue I had was on returning home and finding residue from something over a lot of the alloy wheel that I had to wash off That said, it would not deter me from returning. A**** My husband and I were passing though on a quick out of town getaway and picked up something in our tire. We called around multiple places only to be told it would be a few hours. We called Here and not only did they say bring it right over but we're extremely pleasant on the phone. We got there and they were slammed busy with it being the first of the month but I barely checked in and they were taking my car right back. Had it checked fixed and paid for within 20 minutes!!! Every town needs a shop like this....if we lived closer they definitely would have the business of all our vehicles!! Thank you thank you for getting us back on the road quickly!!! As always great customer service and friendly staff. Job well done. Very Happy with the results of my car my last visit. Thanks for the great service . I have just started to bring my car there. They are awesome, very nice and polite. They give me some specials. Really like this place! I can never say enough positive things about Midas of Short Pump. The people there are absolutely amazing, hard working, generous, and sweet!  They are very informative and do amazing work to your vehicle AND amazing work for the community. I absolutely love them. I refuse to go anywhere else. I had to get a recall done on my vehicle about 2 weeks before my scheduled oil change, tire rotation and state inspection. The dealer (whom I have no ill things to say about) asked if I wanted to get my state inspection and other needs done today as it looks like it's needed. I kindly said no. I could have been done right then and there and didn't have to wake up early on another Saturday, but the Midas family is completely worth it in my opinion! This was my first time at Midas. I made an appointment for the state inspection easily over the phone. When I arrived everyone was extremely friendly. Required repairs were shown and explained to me in good detail. I had to leave by a certain time and the crew made sure the repairs were completed by that time. While waiting it was great to read about the company's commitment to the community. Thank you cards and pictures were proudly posted at the counter and the waiting area. My esteem for Midas increased when it was noted that a $10 donation to the food bank in lieu of the $16 inspection fee could be made. Every single customer interaction that I observed was friendly and professional. I will definitely be back! I rated a one star yesterday based on THAT day. Before 8 am, the owner had called and arranged with me PERSONALLY to rectify the situation today, to repair my vehicle, not only doing the repairs THAT day, but in under 40 minutes. The company did not have to call me back, nor reach out so generously. This was a refreshing and SO helpful surprise that made my life easier this particular day. Thanks Midas. I will definitely go back because accidents happen in life, but how they are handled is the real test of integrity. Honest and do good work! Very reliable and trust worthy mechanics. Happy to have nice peoples you can trust working on your car. They work on older BMWs too! I took my 1990 BMW 325i Vert in for State Inspection. Mark Smith allowed me to look under the old Bimmer and speak with the technician. He found some important safety issues I did not know about. I didn't want to hear the news but they told me what it needed to pass state inspection. The pricing was fair and the work was done with excellence and a friendly attitude from everyone on Marks staff. Thank you Midas short pump. From the minute Heather greeted me Friday night, to Brads call with an estimate, to the job completed call everyone was professional and on point. Allowed me to get my mom and twins off to the airport and on to spring break. Another Awesome job! These guys rock!!! Midas saved me from buying another car for my wife. Thanks Brad, Kevin and everyone who made it possible for our car whose engine was total.But today, it is back on the road in excellent condition. Brad advised me as a friend to fix it. Did his research, got us an engine in great condition. I am glad we took his advice. Thank you so much! My car was overheating went in early to Midas Menomonee Falls and they were courteous and friendly. They brought me up to speed on what the issue was with my car and commenced fixing the problem. I was satisfied with their service. The staff at Midas resolved an issue that was a result of a competitor's mistake. Through the diligent efforts of the Midas technicians, a small oil leak was detected and remedied-not an easy but time consuming task. I am thankful for their efforts and will highly recommend Midas to my friends and neighbors. The whole staff is great. They treat each customer like they're the only customer, greet everyone by name, and go above and beyond to take care of everyone. This time my father was having an issue with a rental car tire losing air and had to find a quick solution to stay on schedule during his visit. The crew at Midas was kind enough to fit him in late in the day and of course took care of the problem completely. I needed a state inspection. As soon as I walked into the door I was greeted by a gentleman who immediately helped me with all my needs. He told me what was wrong and what needed to be fixed in the midas team wasted no time in getting it done. I even got the chance to donate $10 to the food bank. Everyone at the short pump location as well as the other Broad Street location are always meeting my needs and I think you. The Glen Allen Midas shop is simply fantastic. Service is thorough and well executed. Appointment times are kept and unless additional work is approved, you can rely on the work being done on time. They are couteous, and provide rides if needed. The business is very community minded and support The Food Bank and Blood Drives. Marc has won the Small Businessman of the Year Award in the Richmond area. Consider this a very reliable repair source. Find out how getting your car serviced can help a cause important to YOU! Give blood and get a free oil change! Midas Management at 11463 West Broad Street Richmond, VA 23233.